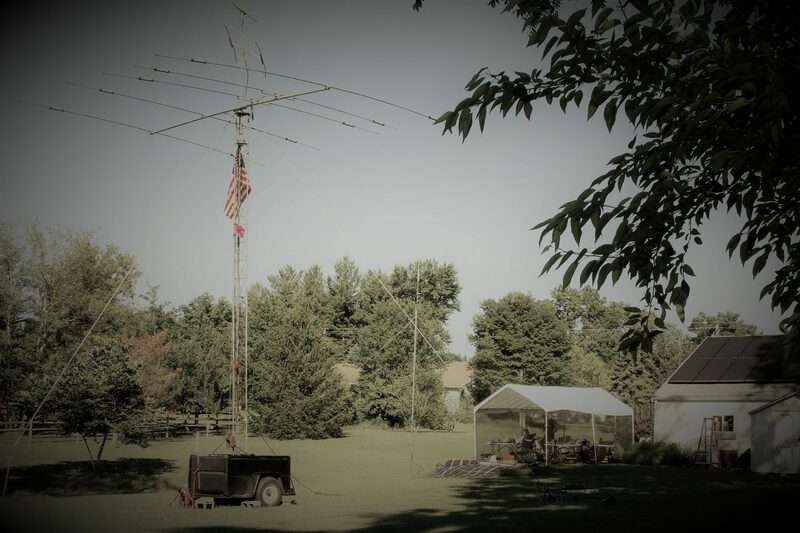 The Ohio Valley Experimenters Club – Page 2 – The Ohio Valley Experimenters Club (OVEC for short) is a USA HAM radio based non-profit organization dedicated to the education and experimentation of the HAM radio world. 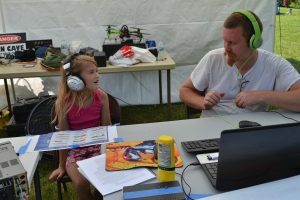 Our organization welcomes any licensed as well as non-licensed HAM radio operators at every meeting and event we hold through out the year. For more information about our organization please click the link entitled "About Us" at the top of this page. 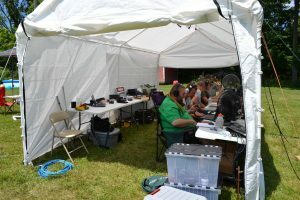 Well it looks like Hamvention just came to a close for the 2018 year. All prizes have been handed out, and all hams will start filing out of the building. Thanks to all of the DARA members that worked hard to put it on, everyone that attended, and to our OVEC members that were able to participate in the badge printing process to help fund the club for another year. A special thanks goes out to our Vice President Ben, N8BD, for keeping everything moving in a forward direction and helping to resolve any issues that came up over the duration of the event. I hope everyone had a great time, and look forward to doing it again in 2019! Hey folks! It’s that time of the year again, and we are at it again printing badges to fund our club for this year’s events. Want your own custom printed ID badge? 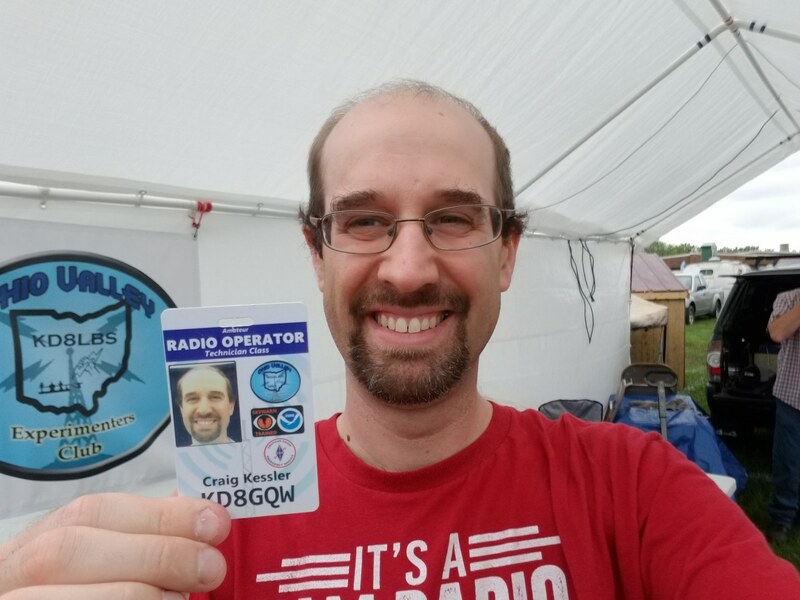 It comes with a picture of yourself on the front, two radio related logos, your name, callsign, AND a current copy of your reference license printed on the back! HOW COULD YOU POSSIBLY SAY NO TO THAT?! 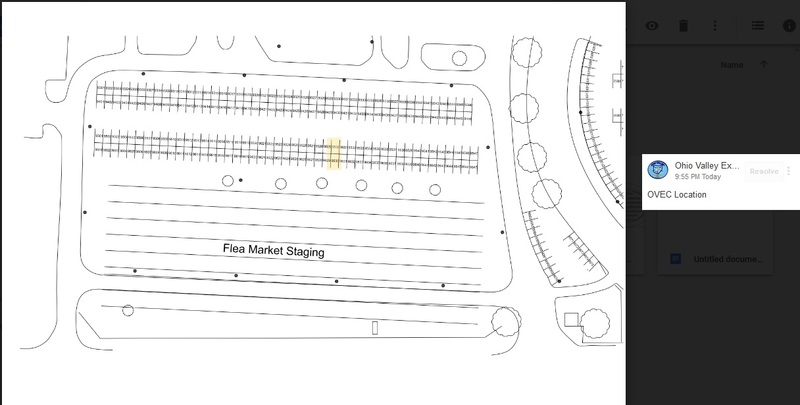 Come see us in the Flea Market for yours TODAY(and Saturday, and Sunday)! Well as with many things, getting the live audio feed from the repeater working ended up being a fiddly process, but it was a learning experience every step of the way. Feel free to check it out on the right side of this page! 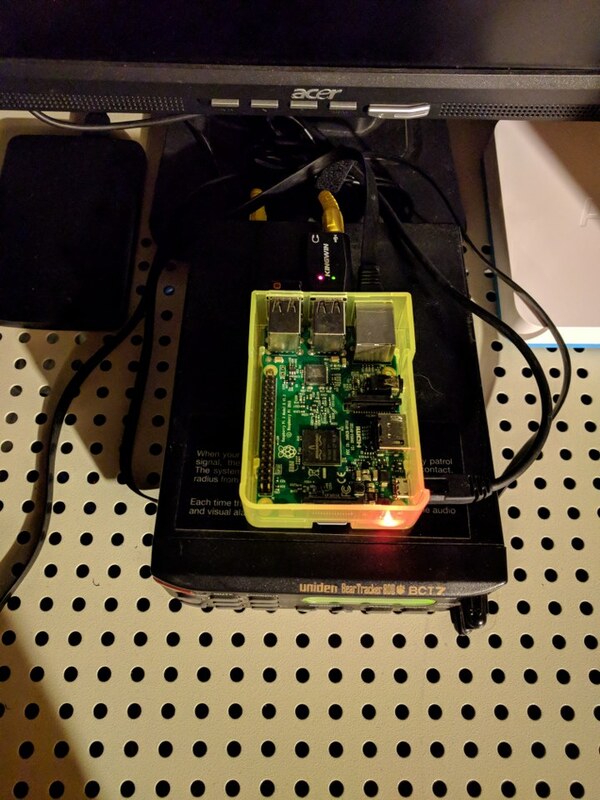 The current setup is a Raspberry Pi running Raspbian, with an older scanner feeding the audio into the Pi, and then being uploaded using DarkIce to the Broadcastify servers. 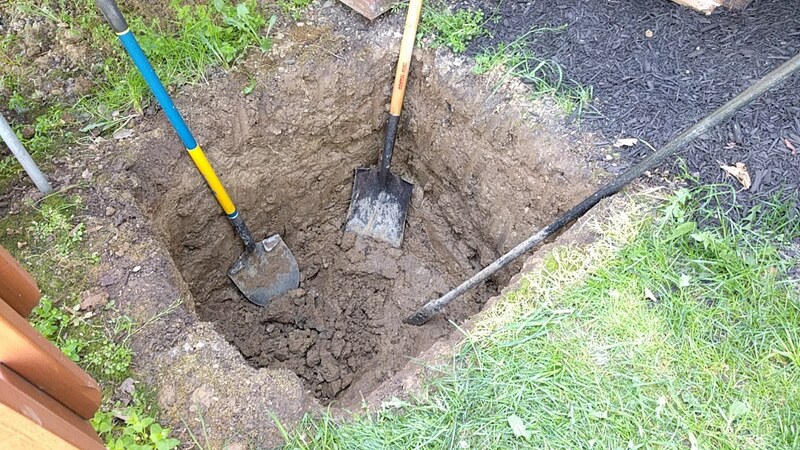 This offers a pretty small physical footprint, with low power usage, and makes it relatively bulletproof. 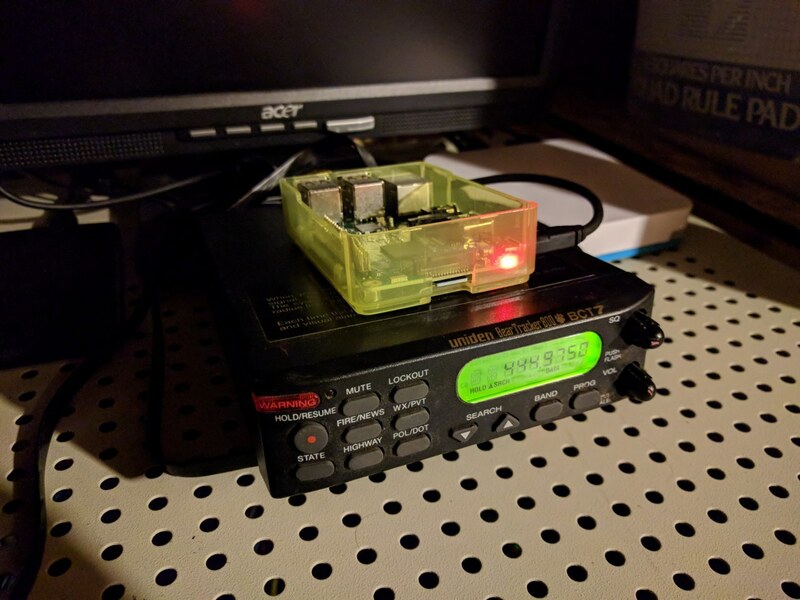 In the future I look forward to getting everything reconfigured utilizing a USB SDR receiver, which will eliminate the need for the external scanner and the required power, since the USB SDR stick will be powered off of the Pi itself! 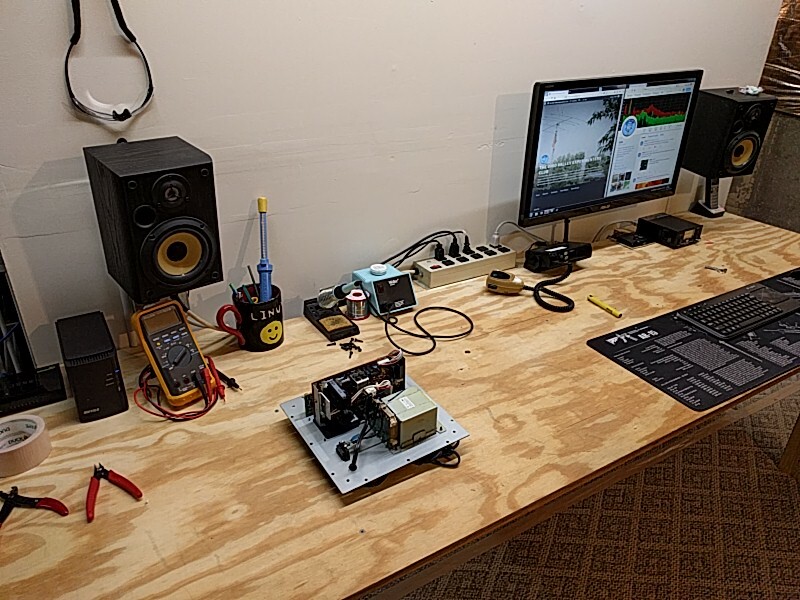 Well with a little bit of free time on my hands I decided that it was time to move to the other side of the basement and set up a much more well organized and layed out shack/lab space for my projects. The bench area has been my first area of concern, mostly so that I can secure comms and music before anything else. Without comms and music, working in the shack is a rather boring prospect. To hold me over, I have the trusty Motorola Radius SP50 mounted to the bench so that the club repeater can be actively monitored. My bookshelf speakers and monitor have been mounted to the wall an effort to keep the bench as clean as possible. The bookshelf speakers obviously supply the music. 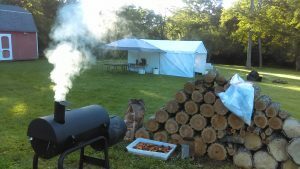 An Update From the Treasurer…. First off I wanted to state that I am extremely excited about our new website and the new look. It looks quite polished and I am happy to see a lot more multimedia content (read pictures, text, member blogs, email, etc.) being displayed. A major kudos and props should go to Craig H. (KD8FYT) as he has done a really wonderful job! The planning for Hamvention continues, and shall be the hot topic for our upcoming monthly club meeting on Wednesday, 4-11-2018. We plan to cover our badge printing procedures in order to speed up the process, and to prevent any long wait times like we experienced last year. Thanks to everyone that bought a badge from us at the 2017 Hamvention, and for your patience while we tried it out for the first time! OVEC will be holding Field Day 2017 at the same location as last year: 4962 Beechwood Road Cincinnati, Ohio 45244. 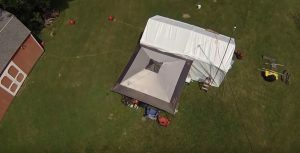 This year we will be operating as N8A (special event callsign to commemorate the annual K9MUL Field Day) as a 3AB station – 3 transmitters, non-commercial and non-generator power, QRP. We will be running a GOTA station for inactive hams or unlicensed people who are interested in ham radio! This is your chance to get on the air with a coach who will guide you through making contacts. Once again we will be experimenting with a number of different antenna types, from standard dipoles to NVIS inverted vees, and for the first time we will have a 10-15-20 meter beam.